"Here's a little button of love and surprise bracelet for you, courtesy of Coldplay..." Shouted a nice bald man with a black t-shirt who greeted us on the gate of Metlife Stadium. I looked at my hubby's face and we both broke huge grins. We are going to watch Coldplay, LIVE! 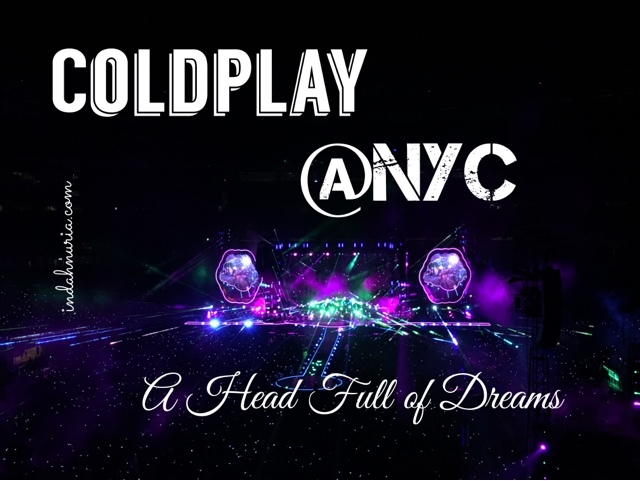 Coldplay comes to New York City! Sudah hampir dua minggu dan saya masih belum bisa move on dari konser keren yang kami nikmati di musim panas kali ini. Saya dan Rudi ngefans banget, dari jaman pacaran pas band ini baru terbentuk #ketahuandehangkatannya. Betapa kami sering terharu dengan lirik-lirik sederhana tapi jleb dan falseto Chris Martin yang menghanyutkan, plus permainan musik apik dari grup yang digawangi Chris bersama Guy Berryman, Jonny Buckland, dan Will Champion. 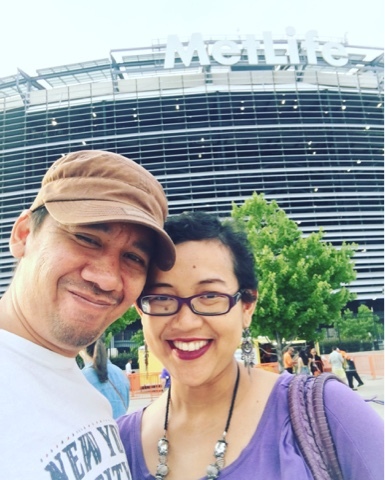 Tidak heran kalau saya dan my munchkin, suamiku tercinta, semangat '45 waktu tahu mereka akan ke NYC. 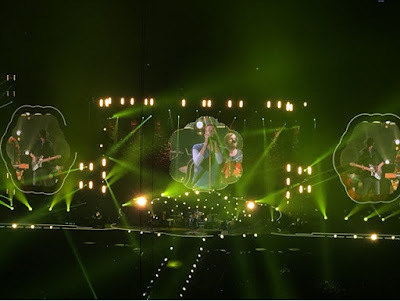 One of the concerts that my hubby and I are waiting for, Coldplay - Head Full of Dreams Tour 2016, is totally awesome. Since last December 2015, we had been eyeing this concert. I have to admit that For this time, my hubby agreed to come along. 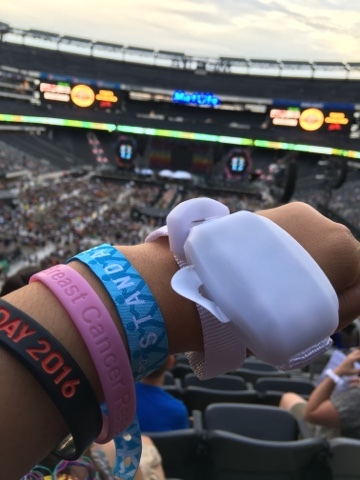 Remember I had a blast on Beyonce's - Lemonade 2016 concert last May? Read the story I went there with my friends. For that concert, my hubby was not as eager as me, but it didn't take long for him to say yes for Coldplay. So, we got the ticket and months later, the day is coming! We had the show on Saturday, July 16. Rain or shine, baby...whatever happens, the concert is indeed on. You can tell how excited we both are! Before we got married, and in our first couple of years of marriage, Udi and I loved to go to concerts. 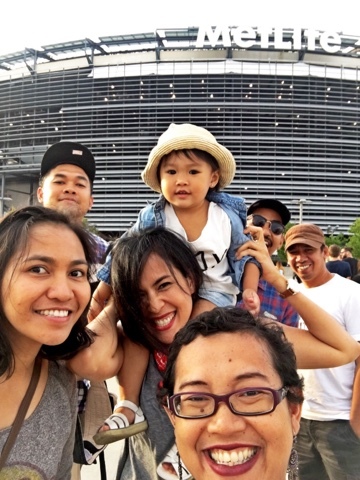 As it was held in Metlife Stadium, East Rutherford, New Jersey, we managed to drive there with our friends, 7 in total, including one bebe :). 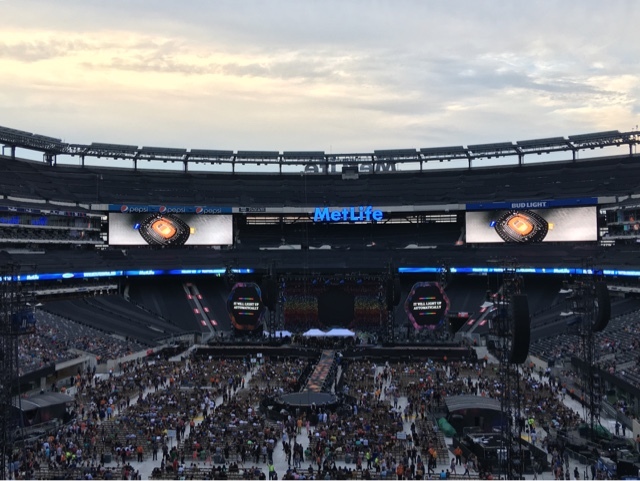 Metlife was filling up fast. And I'm not surprised if the concert was sold out. That huge stadium was packed. We can feel the vibe, the love...the enthusiasm, delight. The uplifting spirit that makes my hubby and I happily grinned almost all night long. As the opening, we have Foxes and Alessia Cara. As new comers, they're good. They surely got the attention of the audience although the stadium was not full yet. Really enjoy Cara's hits, Here :). We managed to have our quick dinner, if' not just snack :), of hot dogs and chips. Super healthy yeah >_< but it was just for that night. That one special night. While waiting for the concert, we enjoyed the glittering sky as the sun set. Then, at around 9.30, our surprise bracelet lit up. And nothing else I remembered but singing along with Chris, my hubby and thousands of people, old and young, in the stadium. 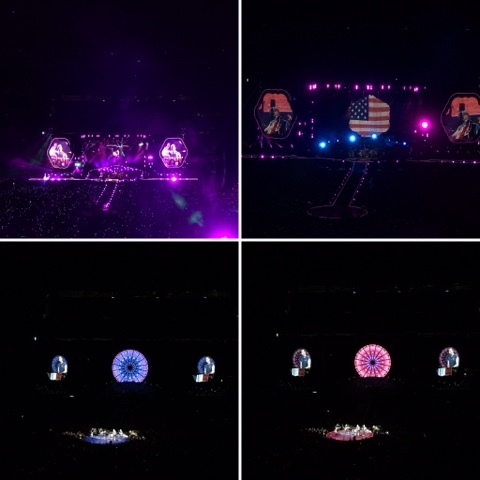 If only you could see the roaring cheers as our bracelet lighted up and the music intro echoed all over the stadium paired with uber-cool visual effects on those giant screens on the stage. Opening with a bang, fire works and great light show, A Head full of Dream opened the concert that night, followed by Yellow, one of my favorite tracks from Coldplay. 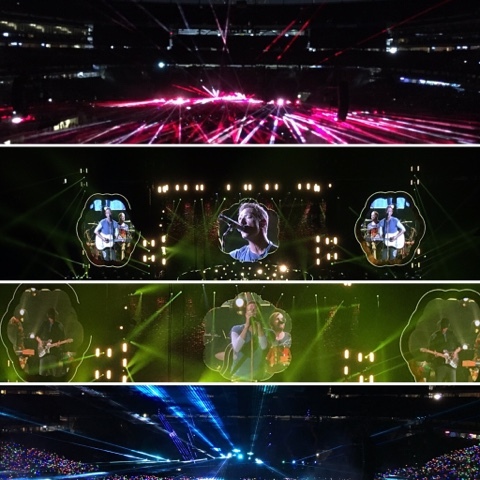 Then the whole night was lit up with colorful light shows, coming from our cool bracelets, as well as the top-notch laser shows from the stage. I forgot to count how many hits they played but I remembered vividly sang along on "Every Teardrop is a Waterfall, the Scientists, and Paradise. Cool clips with Beyonce were shown when "Hymn for the Weekend" was played. Then we enjoyed Clocks, Viva la Vida, Charlie Brown and A Sky Full of Stars. Chris was 'chatting' with us, his fans as well, in the middle of the concert. Introducing the band and spoke more about how he enjoyed NYC and the series of concert they will have in the US. Then the music continued, even as they changed the stages. I think it was three times when they moved around and performed more songs that night. They also sang a special request from instagram. I didn't want this concert to end :). I didn't want to stop singing. But of course, all the good things have to come to an end. 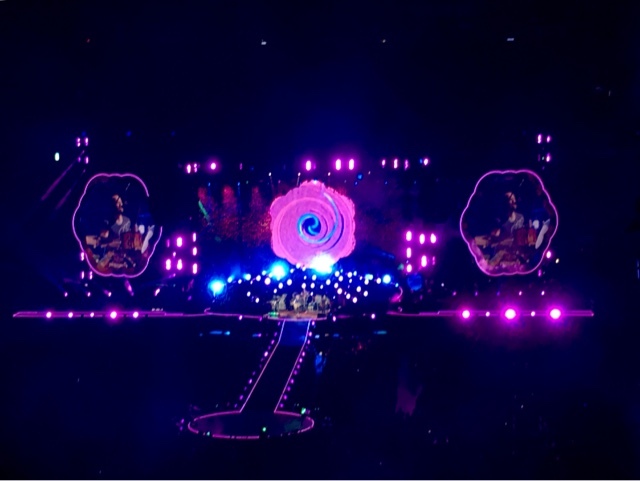 So, thank you very much, Coldplay, for such an unforgettable night. Hope to see you around....soon :). Saya jarang nonton konser musik nih. Hello, what a great concert. I love Coldplay! Lucky you! Happy Tuesday, enjoy your day! You, too, Eileen..and have a great day..
Weeh keren ini mah neh mak Indah. Bukan seru lagi ya, tapi mengasyikkan. I bet that was such a neat show! I love The Scientist video and song. Although I also like it sung by Willie Nelson in the online Chipotle commercial as well. It's so cool, Alissa..the laser play and the stage is awesome..very artistic! I love going to concerts too. 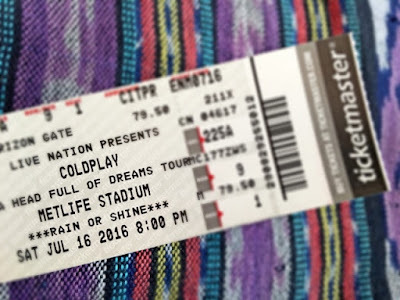 Coldplay has never come close to where we live, but on Saturday we are taking the girls to see Gwen Steffani. Jason isn't too thrilled with this choice, but it's a great way to get out of the house and enjoy time with family and friends. Oh, yes, I understand you, it's a grand event. In addition, the stadium atmosphere was amazing! I bought tickets https://ticketcrab.com/coldplay-tickets and waited impatiently for the cult Clocks. Hummer H2 Limo, Cadillac Escalade Limousine, Ford Excursion, Chevrolet Limo up to 22 travelers, Range Rover and Infiniti Limo with a seating limit up to 18-20 travelers. Our master limo drivers are prepared whenever to influence you limo to encounter the most charming one in any purpose of Fort Lauderdale, West Palm Beach and Miami.